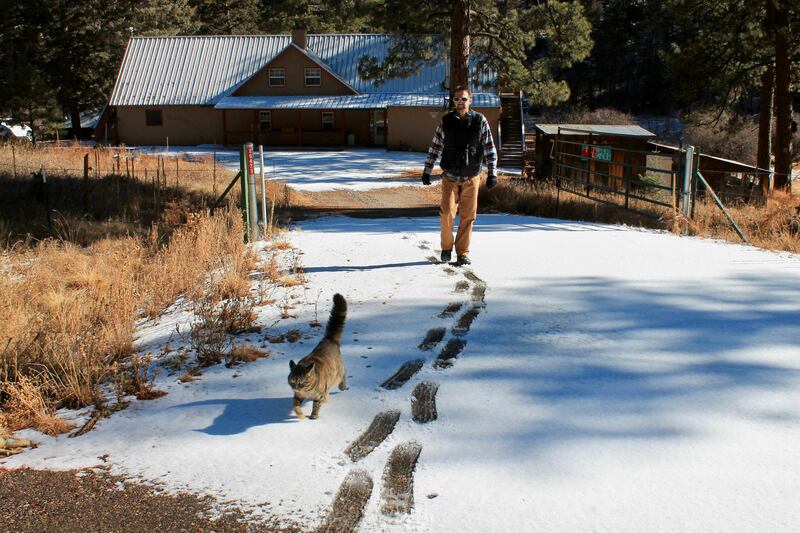 Currently living/working in: Still property caretaking Fenton Ranch in New Mexico … nothing much to report on that end. It’s been a quiet winter compared with last year! Current confession: February was a short month, and that’s my excuse for posting “Currently” so late. Current mood: Oy vey, it’s been quite a month. Actually, quite a year. Our plate seems to be overflowing with distress and drama and I’m going to be honest and say I’ve felt pretty emotionally drained from it this month! Currently proud of: Taxes are done!!! Taxes torture me terribly, and irrationally. I don’t even do them myself, but I would argue that the prep work that goes into the process is just as much work. Anyway, I got on the ball way early this year, just so I could alleviate my angst over them and have one less thing on that overflowing plate of headaches. Of course I’ll wait until April to pay the government, but at least it’s a done deal. Currently excited about: Neti Pot! When I first heard about “nasal irrigation” a few years ago, I cringed. Let’s be honest, I’m still cringing. But so many people have recommended this method to alleviate my newly acquired seasonal allergies that I just have to try it. Currently not excited about: Another thru hiker season is upon us and I have serious envy of those hitting the trails. I’m hoping we can snag a few summer outdoor adventures, but a thru hike is still far off our radar (Justin tells me summer 2019 could be our year, but I wonder if it is a pie-crust promise). In the meantime, I’ll have to settle for living vicariously through social media. Currently thankful for: Our neighbors here at Fenton Ranch. Every time I reference my “neighbors,” my sister likes to laugh because there are only 6-10 people who live up in these mountains full time and not right next door like traditional neighborhoods. But, those 6-10 people are just awesome. Whether they are watching Mrs. Gibbles the cat, giving snow reports when we are gone and plowing our driveway because of our broken snowblower or just there to hang out, you really couldn’t ask for a more helpful bunch. Currently amazed by: Yoga. I’ve been trying to get back into for various reasons, but my problem is I have no discipline to do it on my own. Well, I found a class in the town 35 minutes away and I am vowing to make the drive at least once a week all through March. There is no reason I can’t and after my few classes I’ve taken, I remember why I feel 100% better about life after yoga. Currently worried about: The current list for my immediate family alone seems endless! Currently regretting: Not getting in touch quickly enough with a realtor about a half-completed yurt in a Colorado mountain town and it selling by the time we got our act in gear. I will try to briefly summarize this one. J & I are always on the lookout for property and recently discovered and fell in love with a small mountain community in CO. As we were driving around town looking at properties for sale, we came upon a half-completed yurt. A yurt tucked away with mountain views? Basically our dream. We talked to some friends, did some research and decided it was a steal of a deal. Then we played phone tag with the realtor for a few days, and when she finally got back to us, the yurt was under contract! You snooze, you lose! Current guilty pleasure: We actually got to watch a good bit of the Olympics and Superbowl. It was great, but since we are not normally TV people, I do feel like I’ve had more than my fair share of commercials and I am over them! Currently reading: I just finished Walking to Listen by Andrew Forsthoefel, who walked 4,000 miles across America. I think it felt a bit too long (400 pages!! ), in my opinion, but I loved the taste of America he brought to life on the pages. Still have to listen to the podcast that goes with it, which will be a bonus to the book. I forgot to add Sixty Meters to Anywhere by Brenden Leonard to my January list. I was really excited about this book, which is about a recovering alcoholic who rediscovers his life as a climber, but I ended up a little disappointed. I can’t pinpoint why. I just think my expectations were too high. Currently watching on Netflix: We only have a few episodes left of Bloodline, but my summary is that it was a quick and easy watch. And, this is a non-Netflix movie, but anyone who wants to be inspired needs to watch Charged. I’m not even going to tell you anything about it, just watch it! Never heard that expression-pie crust promise! Now, I’m hungry for pudding pie or blueberry pie! I’m wondering what little town in Colorado? There’s a job coming up I may apply for in that state. Also, please thru hike so I can live vicariously through you. Weird on 2 points – I don’t even want to buy property but I was just looking at a yurt a friend sent me in Vermont! And I also struggle with no grand adventure but I’m trying to still feel accomplished with smaller ones. Planned for this year: finish Long Trail section hike on Memorial Day (only 37 miles left), finish NH48 by mid summer (only 8 left), hike 1-2 weeks in Maine at end of August which would get me my remaining 7 4,000 footers there and my NE67, then Northville Placid Trail thru at end of September (9 or 10 days). Then maybe start on ADK peakbagging next year? And some other short thrus. Still checking things off even if it’s not 6 months at a time!